If you have any questions or concerns regarding these terms and conditions, we encourage you to contact us immediately. All of us at House Bliss Cleaning take pride in our business and the homes that we service. We will make every reasonable effort to provide you with highly professional cleaning experience. We hope you will share in our pride by working with us. Thank you! Our happiness guarantee gives you peace of mind you need to trust our service, or we will re-clean your space! Please note that refunds are not offered before a re-clean. Re-cleans will only be offered if we’re notified within 24 hours of the appointment, and a re-clean appointment is scheduled within seven days from your date of service. No refund will be available if a re-clean is refused. We welcome special projects. These must be scheduled in advance, to allow our teams enough time to complete their cleaning checklist and then tackle your unique project. We will gladly quote that service upfront, so you know the extra fee required. We will also remind you of the special project when we confirm your next appointment. We are excited to work with every client. It is our privilege to make your home or office environment a cleaner and better place to enjoy! The evening before your scheduled cleaning service, ou system automatically places a hold on your credit card in the amount of your total estimated charges. THIS HOLD IS NOT A CHARGE. Payment is due at the time of service unless other arrangements have been made in advance with House Bliss Cleaning. Leave your payment (cash or check made payable to House Bliss Cleaning) inside a sealed envelope on the kitchen counter, if you are not home. We will only accept payment inside a sealed envelope with HOUSE BLISS written on it. House Bliss Cleaning, LLC reserves the right to suspend, cancel or reschedule any cleaning services for clients who have outstanding balances. Performance of scheduled appointments will resume once payment in full has been received. Failure to pay at the time of service will result in your credit card being charged after the work is completed the day of your appointment; you will receive an invoice via email once this occurs. If you pay by check, and your check is returned for any reason, or your credit card payment is not successfully processed, a $25 fee will be assessed. Failure to fully remedy payment within 48 hours of notification of insufficient payment will result in a $50 late fee, in addition to any attorney fees, which may be required to collect on the outstanding balance. Our employees are paid above living wage and offered bonuses for delivering excellence service. Tipping is optional and much appreciated. If you wish to leave a tip for the cleaning crew as a show of satisfaction with their service, please clearly address to their names or TIPS FOR CLEANERS.. (They are not allowed to take any moneys unless it is addressed to them). House Bliss Cleaning, LLC reserves the right to re-evaluate the rates at any time to allow for business-related costs. You will be notified of any rate changes 14 days in advance of any upcoming appointment. You may reschedule, add or cancel any of your cleanings. We understand that unforeseen events may occur which creates a need to cancel your scheduled cleaning appointment. If you need to cancel an appointment, please help us to serve you and our other clients by giving us as much advance notice as possible. If, for any reason, you need to change your scheduled appointment, we require at least a full 48 hours notice so we can offer the slot to another client. For cancellations of service the day before it is scheduled, a cancellation fee of $60 will be charged. In the event of a cancellation on the day of a scheduled service, the full payment for the scheduled service will be due (and applied to the credit card on file). If our staff is unable to gain access to your home at the time of the appointment due to the Client’s actions or inactions, or if, for any reason, a staff member feels that his/her personal safety is endangered enough to cause him/her to leave the job site due to actions by the Client, guests, or pets on the premises, then the Client will remain liable for the full cost of the service. Most customers provide us with a key that is coded, which we keep in a locked safe, and only removed on the day of the cleaning appointment. All keys are labeled with the Client’s last name – the address is never included with the key. If your home has an alarm system, please ensure that it is turned off before your appointment. You may also provide us with the code and steps for us to turn off the alarm. We will reset the alarm when we leave only if we have the code. However, House Bliss will not be responsible if the alarm is set off by our mistake. Clients who have regularly scheduled cleanings (i.e., once a week) can get discounted rates. However, Clients with regularly scheduled service skip their service, will incur a skipping fee of 20% per period, except when the client provides 3 or more days’ notice that they need to suspend service for a specified period of time. Clients with regularly scheduled service who provide less than 24 hours notice of cancellation will be charged the full cost of the scheduled service. If Clients with regularly scheduled service routinely skip cleanings, any discounts for being regular customers may be terminated at any time. We strive to maintain consistency and to provide the best service to our clients, so we always try to arrive within the designated window. However, sometimes we need to give a home a little extra TLC, crews may get stuck in traffic, have difficulty finding parking, or other surprises may happen which could impact the arrival time of the cleaning crew. When necessary, our teams may also need to stay past 5:00 PM to complete a job. You will receive an email reminder the day before the appointment with a closer estimate time of arrival. We must be able to reach all areas to be cleaned. To complete the scheduled cleaning, dishes, clothes, toys, leftover food, etc. need to be put away before we arrive. Clutter can increase the time it takes to clean your house at the rate we quoted. If extra time is required, the price of service will necessarily increase. Additionally, it is House Bliss Cleaning’s policy not to put things away that are left out, as we are not aware of how each Client prefers their home organized. When in each Client’s home, we will be working as quickly and efficiently as possible. Please ensure that your house is well ventilated and/or air-conditioned. If the house is too hot or too cold, our cleaning crews health may be negatively impacted. For this reason, we must insist that you keep your home in the 70-72° range while we’re in the house. Please limit the number of people in your home when we arrive. Also, please move your pets outside or have them restrained while we are in the home. House Bliss Cleaning staff cannot be held responsible for taking custody of any person or pets in the home. We ask your cooperation in correcting any problems that could affect our efficiency. Please know that workers compensation insurance and OSHA guidelines do not allow us to request employees to remove human or pet discharge (including urine, feces, vomit, blood) without proper training and equipment. Our insurance does not cover us for any employees in the case that they get sick from being in touch with human or pet discharge while working for us; therefore we communicate to the cleaning teams that they are not allowed to touch/remove/ clean areas where it has been contaminated by human/pet discharge. We also cannot clean while pest control spray is fresh. We would appreciate your letting us know if there is someone home ill; we can take precautions or might re-schedule. We ask you to inform trustworthy neighbors, relatives and anyone else that may be “keeping an eye on your home” for you that we will be at your home cleaning on the scheduled cleaning days. Doing so can save the police department, neighbors and the cleaning crew from an embarrassing situation. Please notify us in advance of any person or people who may be in your home during the time of a scheduled service. This includes family members, service contractors, repair personnel, and so forth. We reserve the right to reschedule visits that coincide with a visit by another service contractor or houseguest. All trash cans in the house will be emptied and re-lined as required. House Bliss Cleaning will NOT dispose of any items not already in a trashcan or labeled as trash. We never know what might be important to you. This includes soda cans, empty bottles, leftover food, etc. House Bliss Cleaning provides all appropriate cleaning supplies and equipment, which all employees are trained to use. If a Client requests that we use their products and/or equipment, then this will void our Satisfaction Guarantee. Additionally, when a Client insists that House Bliss Cleaning uses their personal cleaning equipment, they assume all risk for possible damages to said equipment and agrees to hold House Bliss Cleaning harmless for any damages which may arise from such use. The best protection is a precaution. House Bliss Cleaning strives to provide the best possible cleaning experience, and carefully selects the cleaning crews, which we use. However, please DO NOT leave out any money or valuables, which could be lost or taken. When we find valuables left out, we will clean around them. If valuable items are found on the floor, they will be placed on furniture in the same room they were found. House Bliss Cleaning’s Janitorial Bond protects you from theft. If a theft is suspected, our bond requires that you file a police report with your local authorities. House Bliss Cleaning crews have been trained in the proper and safe handling of items in homes. Unfortunately, accidents still occur occasionally. If this happens, you will be notified via a written notice left next to the broken item(s). Reimbursement will be made up to $250 with a copy of your replacement receipt, or a quote on a replacement for a similar item. Items, which cannot be replaced due to sentimental or antique value, should be reported to House Bliss Cleaning BEFORE service begins. We reserve the right not to touch an item. Our insurance company will handle reimbursement for items over $250. Either party may terminate this agreement at any time by giving to the other party at least three days written notice. Written notice may be in the form of a text message, email and/or letter when sent to the primary contact number for House Bliss Cleaning. House Bliss Cleaning, LLC and its subsidiaries reserve the right to refuse service, terminate accounts, and/or cancel orders in its discretion, including, without limitation, if House Bliss Cleaning, LLC believes that customer conduct violates applicable law or is harmful to the interests of House Bliss Cleaning, LLC. House Bliss Cleaning, LLC recognizes and acknowledges that this Agreement creates a confidential relationship between the company and the client and that information concerning the client’s business affairs, customers, vendors, finances, properties, methods of operation and other such information, whether written, oral, or otherwise, is Confidential Information. House Bliss Cleaning agrees, that it will not, at any time, during or after the term of this Agreement disclose any confidential information to any person whatsoever. House Bliss Cleaning further agrees to bind its employees to the terms and conditions of this Agreement. 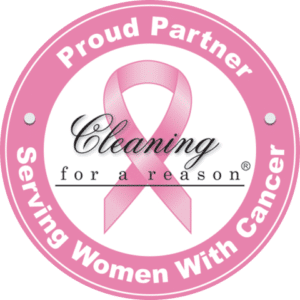 House Bliss Cleaning, LLC strives to provide the best possible cleaning technicians for each and every job – and provides cleaning crews with special training and supplies to make sure each job is done according to the company’s exacting standards. 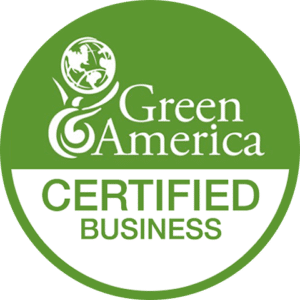 Clients hereby acknowledge that the relationship between House Bliss Cleaning, LLC and all of its employees, whether independent contractors or payroll employees, is essential to the proper functioning of the business, and providing the high-quality cleaning that each client expects. Therefore, Clients hereby agree to not solicit any employee of House Bliss Cleaning, LLC at any time when a current Client of House Bliss Cleaning, and for a period of one (1) year after the completion of their final cleaning. If a Client desires to directly retain the cleaning services of one or more employee(s) of House Bliss Cleaning, LLC (whether an independent contractor working for House Bliss or a payroll employee), they hereby agree to pay House Bliss Cleaning LLC a fee of $4000 per employee. Additionally, Clients hereby agree not to solicit any employee or independent contractor of House Bliss Cleaning on behalf of any other business enterprise, nor induce any employee or independent contractor associated with House Bliss Cleaning to terminate or breach an employment, contractual or other relationship with the House Bliss Cleaning. If such solicitation or inducement to terminate employment with House Bliss Cleaning, the Client hereby agrees to pay House Bliss Cleaning a fee of $4000 per employee solicited and/or induced to leave the employ of House Bliss Cleaning.